So you want to Travel to Cuba and you´re a US citizen? This website will tell you how to travel to Cuba and give you the heads up, before traveling, organizing your trip and what to expect when you get to Cuba plus all sorts of information in-between. The recent changes in treasury department (OFAC) rule mean that Cuba Travel for Americans is easier than it has been for the past 50 years. However, there is little information available in the US about Cuba Travel for Americans so, we endeavor to lift the veil on travel to this taboo nation just 90 miles from the US. Cuba Travel for Americans offers lots of information, personal accounts and even advice taken from actual Americans who have visited the “forbidden Island” some actually live there! 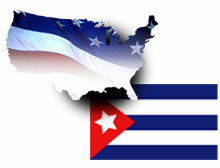 We hope that you will find this information useful and make Cuba Travel for Americans easier by passing on the information to friends and acquaintances.